Pioneers in the industry, we offer measuring tapes, graduated measuring jars, laboratory thermometers, dial thermometer, dial gauge and water bath from India. 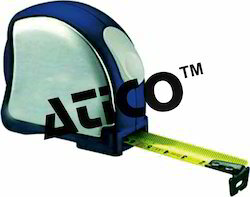 Advanced Technocracy Inc. is Manufacturer, Exporter & Supplier of Measuring Tapes. Steel Tape: (a) 15 meter, 13mm width, (b) 15 meter, 9.5mm width, (c) 30meter, 13mm width, (d) 30meter, 9.5mm width, (e) 3meter, 9.5mm width and (f) 5meter, with bubble, Metallic wire braided, (g) 15meter and (h) 30meter. These are commonly used at site for measurement of silt in sand and to measure the quantities of liquid. These are available in ordinary glass, borosilicate glass and clear transparent plastic, Capacities available are 25ml, 100ml, 250ml, 500ml and 1000ml. 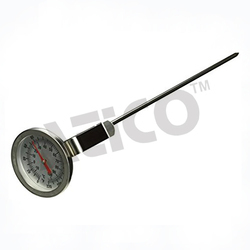 Advanced Technocracy Inc. is Manufacturer, Exporter & Supplier of Dial Thermometer. Dial thermometers are useful fro measuring the temperature of soil, bitmen of any hot material when inserting ordinary glass thermometer is risky from breakage point of view. These are essentially Bi-metallic thermometers, Bi-metal element is enclosed in a hollow metallic stem with close fitting. As the temperature rises Bi-metal element expands and activate3s a pointer fixed on the dial to read temperature. Range 0-300 C with 4" dial and 10mm dia. x 300mm long, S,S.Stem. Range 0-300 C with 2.1/2" dial and 6mm dia. x 180/200/300mm long, S.S. Stem. C. Range 0-100 C with 2.1/2" dial and 6mm dia. x 200mm long, S.S.Stem. 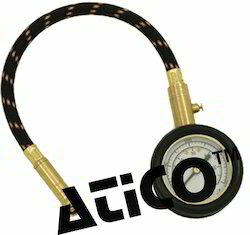 Advanced Technocracy Inc. is Manufacturer, Exporter & Supplier of Dial Gauge. Used for taking measuring settlement of soil, used as flow meter in Marshall stability test to measure deformities, strains, displacements in general. Available models: (a) 0.01 x 25mm, (b) 0.002 x 5mm and (c) 0.01 x 50mm. 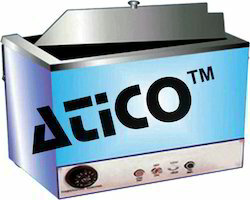 Advanced Technocracy Inc. is Manufacturer, Exporter & Supplier of Water Bath. Rectangular water bath, double walled construction, inside reservoir of stainless steel, outer body mild steel with insulation in between, supplied with lid having one hole of 12.5cm dia. and four holes of 7.5cm dia. Concentric Rings with lids are provided on holes. The top plate and concentric rings are of S.S. Temperature 0 0 0 range 7 C above ambient to 95 C + 1 C by capillary thermostat, inside chamber size 30cm x 25cm x 12cm. These water baths are useful for Laboratory work. Thermometers at extra cost suitable for 230volts AC, single phase. Advanced Technocracy Inc. is Manufacturer, Exporter & Supplier of Universal Water Bath. Single walled body made out of full stainless steel, polished sheet, temperature 7 C above ambient to 0 boiling point of water + 1 C by thermostatic arrangement. These baths are useful for heating Marshal specimen. A false button of S.S having holes is provided over the heating element. Available in the following sizes and accessories : (a) 12”L x 9” W x 7”H having rating of 750 W., (B) 18” L x 12”W x 7”H having rating 1500W. 1. Pyramid lid for size (a) 12” L x 9” W x 7” H, (b) 18” L x 12”W x 7”H. Supplied without thermometer, suitable for 230volts. A.C. single phase. 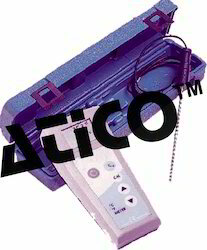 Advanced Technocracy Inc. is Manufacturer, Exporter & Supplier of Dead Weight Testers. 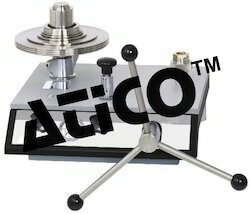 The instrument consists of a piston-cylinder unit, screw press, priming pump, priming valve and test connection, all fixed on a rigid steel base. Four adjustable leveling screws are provided for leveling. An easily removable cover is fitted to the instrument. Supplied completer with a set of weights, but without a pressure gauge. 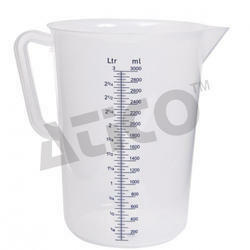 Flow Cup Viscometers are useful for determining the flow time of paints varnishes, lacquers and other viscous products. They consist of a metallic container with specified dimensions and volume, incorporating and orifice. 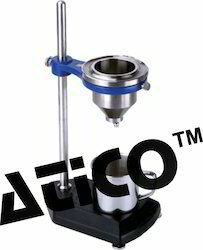 The sample flows through the orifice and the variations in running time indicate the variations in viscosity of the product, due to blending and dilution. 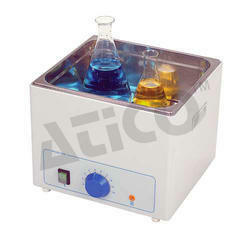 Advanced Technocracy Inc. is Manufacturer, Exporter & Supplier of Viscometric Water Bath. Accessories: Viscometer holder for 4 nos. Viscometers and viscometer tray. 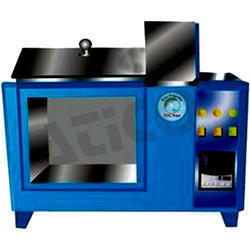 Looking for General Lab Testing Equipments ?